I feel bad for those reviews. 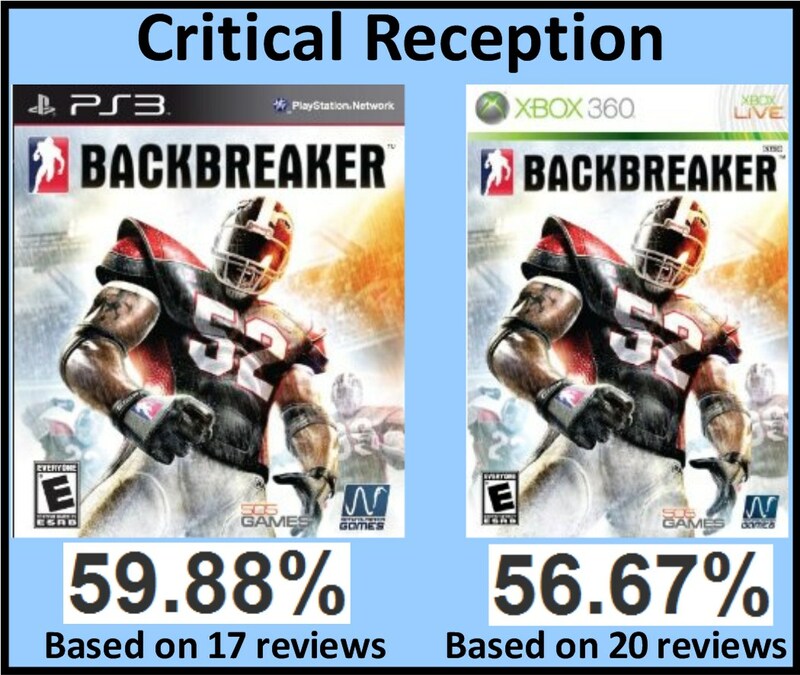 I also feel bad that reviews seemingly have such an effect on a game's success. But thats just me, review score hater. 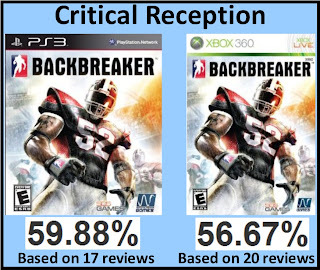 I wonder how they'd rate Madden without the NFL license. I never had 2K5, but I did have that year's Madden. What a year to be a gamer and a football fan. The genre has gone downhill since. I took what I thought was a sensible approach. I would buy every other year. I got '07 on the Wii. I then broke my pattern and got '08 because it was supposed to be so much better. I sold that at a yard sale before I moved last year for $1. I've had a bad taste in my mouth since and haven't played a football game since. Coffee, I'm with you, $20 a year. But here's how you do it. I would still be playing Madden '05, I would just be paying to download updated rosters and season schedules. I'd be fine with that. EA needs to take a page from the VALVe playbook (pun super intentional) and concetrate on keeping customers happy as opposed to milking the guarunteed sales of avid football fans, to whom it is not an XBOX or PS3, but Madden. Release Football Engine. Update it for free. Charge for the updated content. Profit. The NFL needs to give a crap about the product that's out there and open the license up to competition again. When NFL 2K5 was released, and EA announced soon after they purchased the exclusive license, I said that I would never buy a Madden game because of it. It seems like EA is leaving Madden the exact same almost year after year, while charging $50 or $60 for a "new" game. I'm thinking your comments are nothing but spam, if not, send me an email.